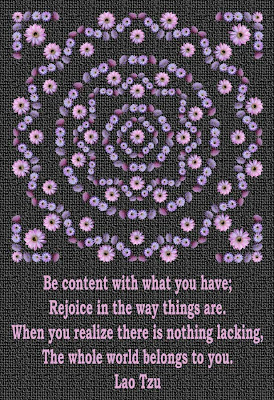 Lao Tzu has inspired me for many years, so I will be illustrating other quotes by him in the future. I think this is a nice pairing of text and image. Let me know what tou think. 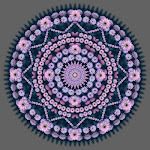 Another mandala made with the nightblooming flowers. 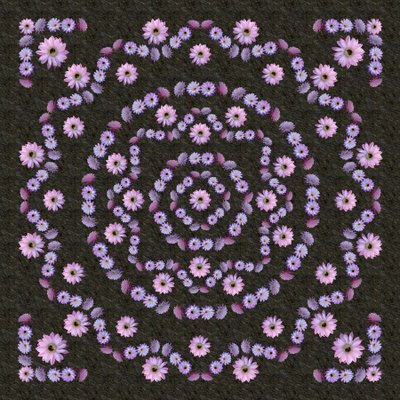 This time I made a line of 4 blooms and used them as the basic design element repeated to create various geometric shapes. I added a 5th bloom for emphasis. 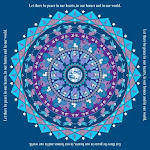 Designed for poster size, but smaller prints are an option. Cards and t shirts are other possibilities. 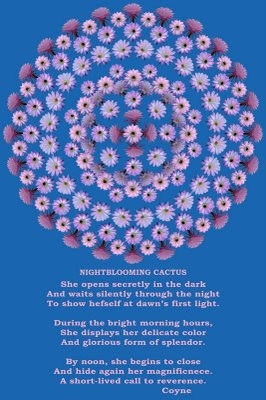 May be combined with a saying of your choice or the Nightblooming Cactus Poem. 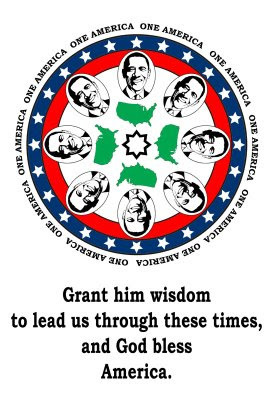 Could be used with the Serenity Prayer. 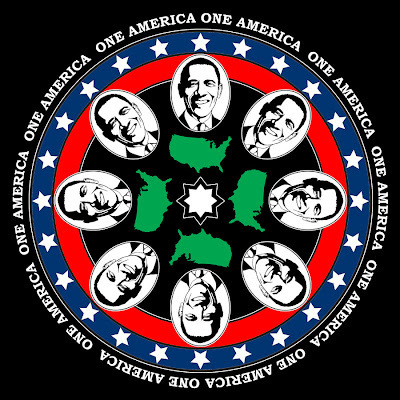 This is another version of the Obama mandala for a black t shirt. Carolyn, this is for you. 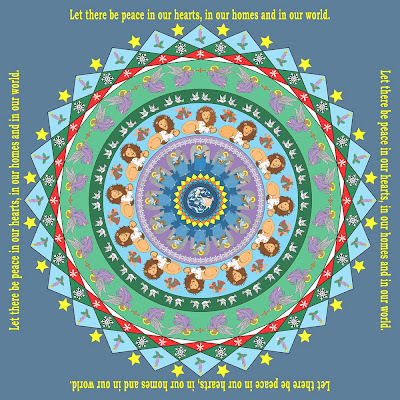 My sister-in-law, Carolyn, liked my Peace Mandala but asked why it couldn't have more traditional colors like green and red. I told her that it could, and am delivering with this version. Her question also inspired me to conceive of the digital coloring book. 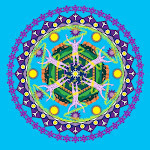 Most of my mandala designs are adaptable to this format. So if there are any designs that you like, but think you would prefer a different color scheme; then this could be the answer for you. This is the first installment toward a digital coloring book. 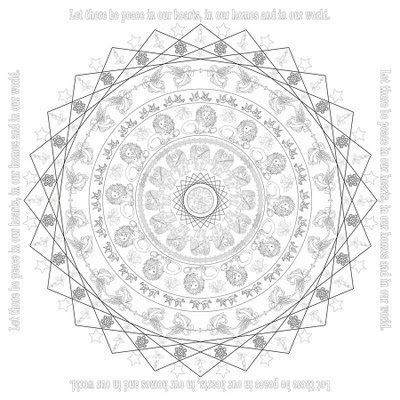 In it, I will take mandala designs in black and white and make them available for people to color themselves with digital graphics. 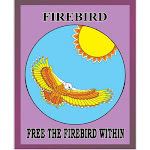 For details, see the sidebar under Nightblooming Cards. You will find a segment labeled for digital coloring book. This is not for the faint of heart. Coloring in one of these designs is a detailed process that would drive most people up the wall. For those of you into this kind of thing, it can be fun. 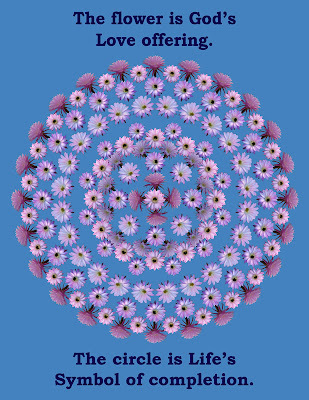 A version of this mandala with text and no poem. I have made it into a card with the poem on the inside. Best at poster size. 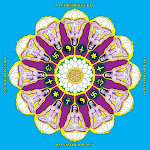 This is a version of the Babaji Mandala that I created as a t shirt design. 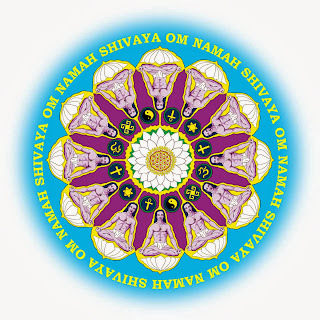 It has the OM NAMAH SHIVAYA mantra associated with Babaji. I also have one with the popular OM MANE PADME OM. See them on Zazzle under Brightlight t shirts.